Flowers Singing A Different Tune? It seems as if Delaware State Treasurer, Chip Flowers, has not been as forth coming about the credit card scandal in his office as he might have been. The Wilmington News Journal is now reporting that the Deputy Treasurer who was forced to resign her position, after it came to light she had used the state’s credit card for personal use, including buying tickets to a football game, may have actually spent double what was originally reported by Mr. Flowers. It seems that some of these purchases may have occurred when Ms. Benner was traveling with Mr. Flowers on so-called state business trips to Alaska among other places. These were trips to national Treasurers conferences. According to an article in the WNJ in August, Mr. Flowers disclosed that Ms. Benner had used the card for her personal use to the tune of $2,300, including $1,000 for tickets and a car service for a football game between the Patriots and the Dallas Cowboys. By the way Mr. Flowers is a known Cowboys fan according to people who should know. As of now there is no report that Mr. Flowers attended this game, but maybe someone should ask that question. Oh wait, I just did! It has now come to the attention of the state’s Division of Accounting that Ms. Benner has actually repaid the state the amount of $6,051, meaning that the abuse may be much larger and more wide-spread than first suspected. It seems that Mr. Flowers failed to disclose the other charges in August. The Division of Accounting has also been looking at all of the state issued credit cards for the Treasurer’s office, including that of Mr. Flowers. This has caused Mr. Flowers to seek clarification on whether the Division of Accounting has the authority to do so. What have you got to hide Mr. Flowers? Mr. Flowers seems to have a hard time deciding whether Ms. Benner’s purchases were legitimate or not. He has been giving conflicting answers. First Ms. Benner had to reimburse the state, now Mr. Flowers says that some of that money should be paid back to Ms. Benner, and still again that she still owes the state. The conflict seems to stem from the fact that some of the money Ms. Benner spent, was spent when traveling with Mr. Flowers, and when Mr. Flowers was using his state credit card at the same locations. So if Ms. Benner owes the state? Does Mr. Flowers owe the state? 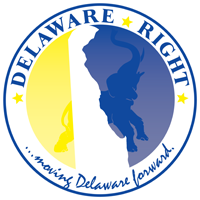 It would seem that Delaware has a treasurer that can’t count, not good when he is responsible for a $2 billion investment portfolio. The amounts of the charges are really of little concern, since the policy says that state employees are not to use state issued credit cards for any personal use what so ever, that being said, there is a mechanism set up for reimbursement. This alone indicates a problem in the system that clearly says to employees, go ahead and abuse the credit card, as long as you pay it back. If employees are not to use the cards for personal use, then the only mechanism needed for such use should be prosecution and termination. The other issue here, and maybe the more troubling one, is the ongoing conflicting accounts coming from the Treasurer’s Office, and not from some low-level office jockey, but from the very top of that office, from the person that the citizens elected to be accountable for the use of the state’s money. If Mr. Flowers is incapable of overseeing his deputies use of a credit card, what chance does he have of properly overseeing $2 billion in investment capital? These latest reports in the WNJ only further demonstrate that there is a great and urgent need for a complete “AUDIT” of all state issued credit cards in all areas and at all levels. Also I would think that a complete “AUDIT” of the Treasurers Office is not out of line considering that Mr. Flowers has now demonstrated a lack of clarity, and a resistance to disclosing facts. Here is a link to the WNJ article where you can see all of the numbers in more detail. One Comment on "Flowers Singing A Different Tune?" Anyone who says “I have nothing to hide” ALWAYS has something to hide. It’s rule #1 of political journalism.